Atelier Circulaire closes its annual programming with the Members' Salon, a group exhibition celebrating the latest work of its member artists. 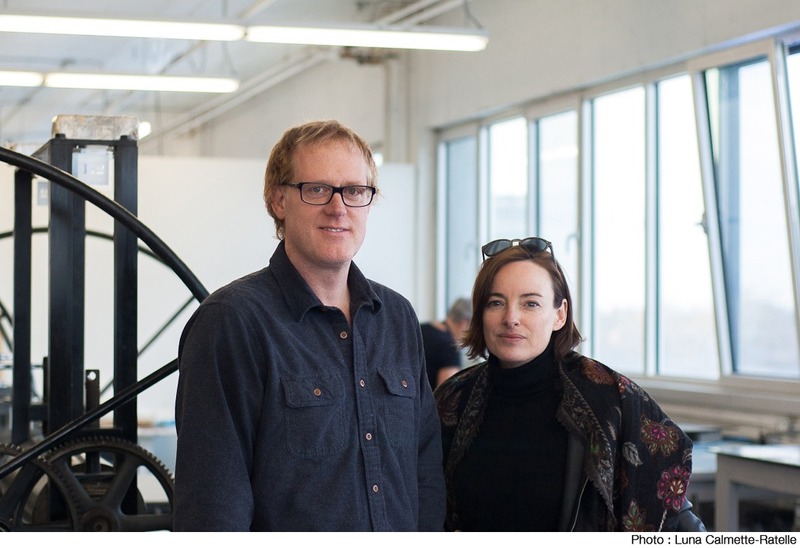 An event that reflects the creative influence, diversified approaches and innovative techniques that Atelier Circulaire and its members bring to the field of Quebec printed art. This exhibition demonstrates a wide range of printing techniques from etching, lithography and monotype, to screen printing and digital printing. We will take advantage of this moment of conviviality to present the laureates of our three scholarship programs: the Emerging Artists in Printmaking grant, the Cultural Diversity and Indigenous Communities grant and the François-Xavier Marange grant (in partnership with the Fondation de l UQAM). The three selected artists, a representative of the Montreal Arts Council and the philanthropists who made these projects possible will be in attendance. Our loyal supporters, Marc Séguin and Pascale Bussières will be present as spokespersons, to mark the success of the first fundraising campaign which earned more than $ 32,000! They will be available to discuss their respective relationship with Atelier Circulaire and explain the reasons for their commitment.